This is one of the best institute in Bangladesh.Firstly this institute provided by Sweden govt.Since 1972 Bangladesh govt. 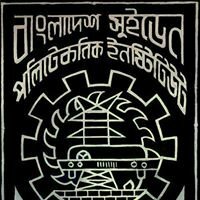 provide this institute.There are 6 department(Mechanical,Electrical,Automobile,Civil wood,Construction,Computer). About 1600 student studying in 2shift.This Institute have hostel facility for male&female student.